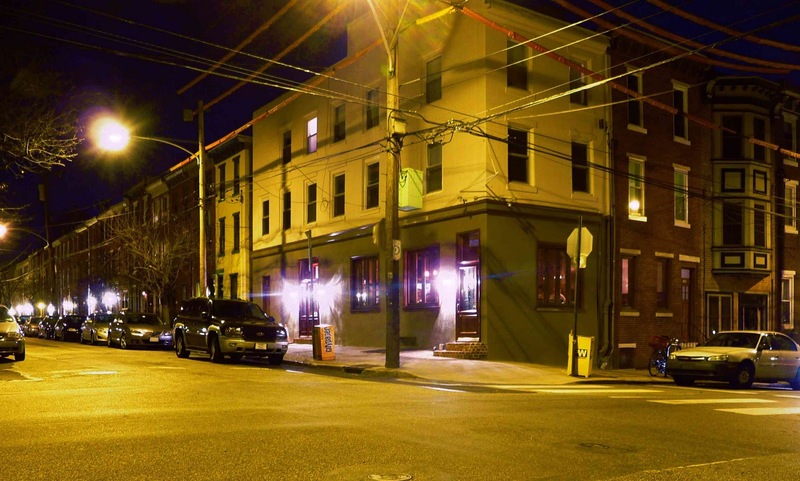 From the cocktail minds behind the Franklin Mortgage and Investment Company and the kitchen minds behind Supper, comes Lemon Hill, a gastropub/cocktail haunt that both looks and feels like it belongs in Brooklyn alongside Fort Defiance instead of a not-accessible-by-subway part of Philadelphia. But hell, Bro drove, so I was able to have an extra cocktail. Walking in, it's dark, lit by the orange glow of old bulbs, very much in the vein of the now-ultra-trendy turn of the (20th) century style. Dark woods, exposed brick, tin ceilings, New Orleans jazz, lotsa whiskey. No signage of any kind. 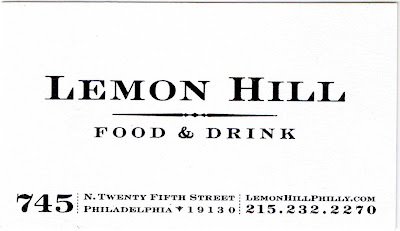 These are the hallmarks of Lemon Hill. Bro and I showed up opening night to see what all the pre-opening night hype was about. We expected a long wait, so we showed up around 6pm, way earlier than I'd otherwise have any interest in having dinner, but it was a good idea. By 8 it was packed and the line was out the door. 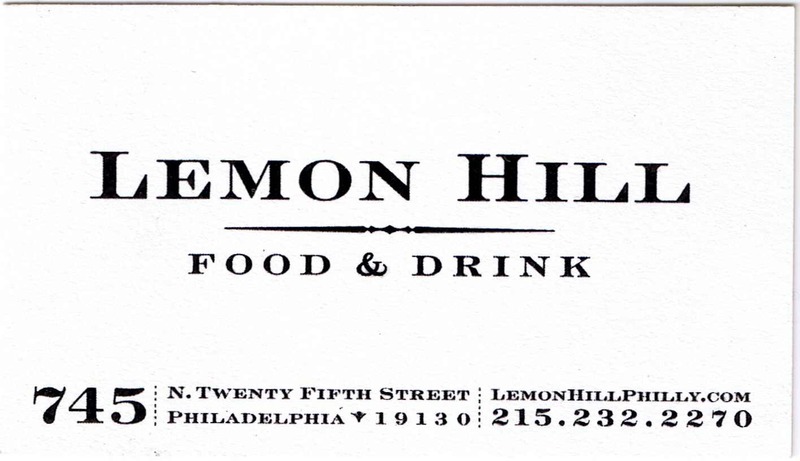 The courses at Lemon Hill are small, though I won't say that it's a small plates restaurant. They have a "snack" menu, and starter menu and an entree menu. I recommend that you pick one of each. Naturally, you'd do well to have a cocktail too. I mean, when your bartender comes right out of Franklin Mortgage, why wouldn't you? Bro whet his whistle with a Rye Buck, a ginger-infused sweet whiskey drink. Very good. Stop arguing and get it. 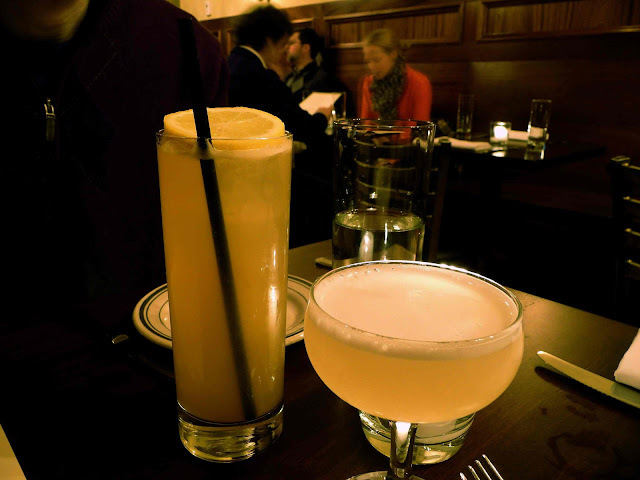 My choice was the Clover Club, a gin and egg white cocktail that I ordered out of nostalgia to the bar near home. But it was a wee bit thin. As a starter, we split the Dirty Rice Fritters, piping-hot deep fried rice balls with a cold crab? cream sauce. 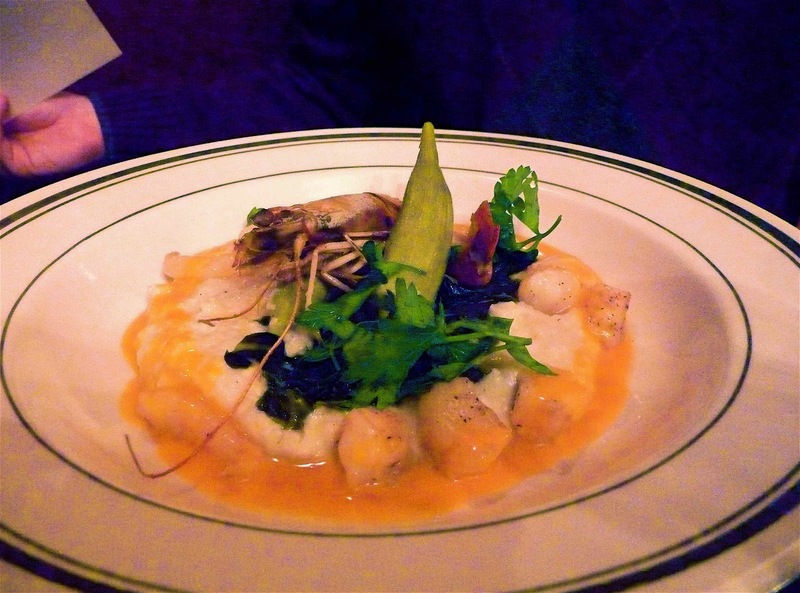 We both enjoyed it, but it was a bit dry and I'd have preferred an actual crab cake. As an appetizer Bro ordered the Smoked Tomato Soup, with blue cheese popovers which was quite good. And quite smokey. My appetizer was the Pastrami Fried Chicken Wings, a salty breaded variant of the bar food fave with thousand island dressing and pickles that my buddy Dogz would drool over. 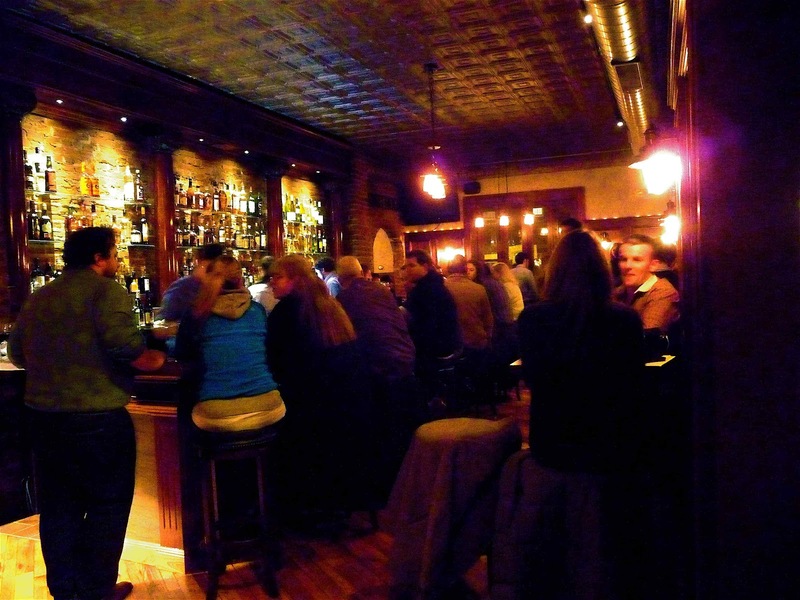 While it was certainly a different, more haute version of that which emerged so famously from Buffalo, it was small and not so filling. I'd get two. After that, the entrees showed up. My dinny din din was the Hearth Baked Cavatappi, a creamy mac-and-cheese type dish with gruyere cheese, brussels sprouts and mushrooms with a dusting of breadcrumbs. I liked it a lot. Very good stuff. Bro ordered the Shrimp N Grits: grits, shrimp, okra and a whole prawn garnish (that Bro ate anyway). While I don't much care for okra, I couldn't find any faults here. If you were looking for a comfort food menu with flair, I think you've found it. Dessert time came around, but Lemon Hill didn't have any coffee or tea on hand, so I skipped it and instead ordered another drink, the Blues Explosion, a grapefruit and whiskey combo. While I got myself nice and happy, Bro ordered a slice of pie. Specifically, he got a slice of Apple Cranberry Pie. I stole a bite and it was very good. Hopefully, one day, they'll have some coffee available. Cocktails average $12 each. Expect to spend about another $30 on top of that for food, per person.